When you visit our ASE-certified shop, you know you're getting car and truck repairs from a capable team of automotive technicians. Our staff has the right stuff to ensure your vehicle problems receive proper treatment the first time around. From brake repair to transmission service, we have you covered for the small and not-so-small things your vehicle needs. Get honest appraisals, fair prices, and top quality automotive service at Rising Sun Motors. 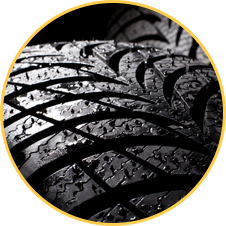 We make it easy to shop auto repairs, preventive maintenance, and tires in College Park, MD. As a tire dealer, we stock great brands like Hankook, Kumho, and Sumitomo. For auto repairs our staff includes ASE-certified technicians who are ready to fix car problems and restore vehicle performance for customers across College Park, MD, Silver Spring, MD, Hyattsville, MD, and surrounding areas. If you're on the run, we offer a complementary shuttle service for your convenience. Stop in and say hello to Bandit and the team today. Se habla español. Rising Sun Motors is located at 9001 Rhode Island Ave College Park, MD 20740. Our hours are Monday through Friday 7:30 AM to 6:00 PM. Over the last 30+ years, we've been turning customers into friends. Join our tradition today. Rising Sun Motors; home of quality, convenience, and honesty. Select your vehicle information below to get started looking for those new set of tires!